Dumbledore: "This wall will show you your deepest desires..."
Before Wendy sewed it back on Peter's shadow was having the time of his life. Even their shadows are more interesting than these people. how dares this shadow replace a beer with a turd?! Their affair was a secret...until their dark side betrayed them! 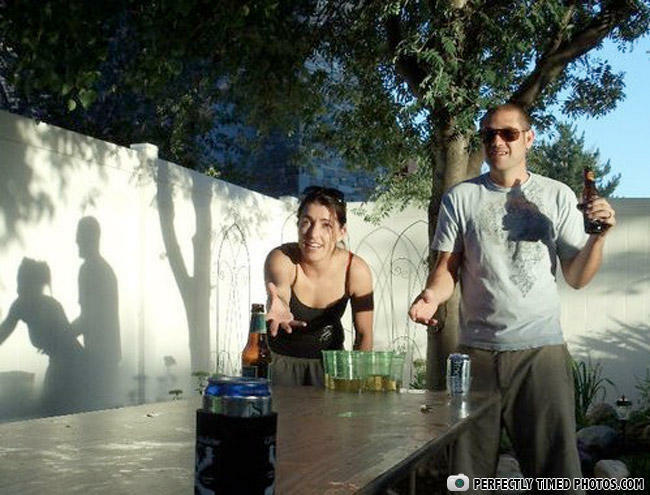 You know you're a loser when your shadow gets more action then you!